Shenzhen Antenk Electronics Co., Ltd. introduced a 2.54MM Dip Plug Connector (MATING HEIGHT 7.3MM). 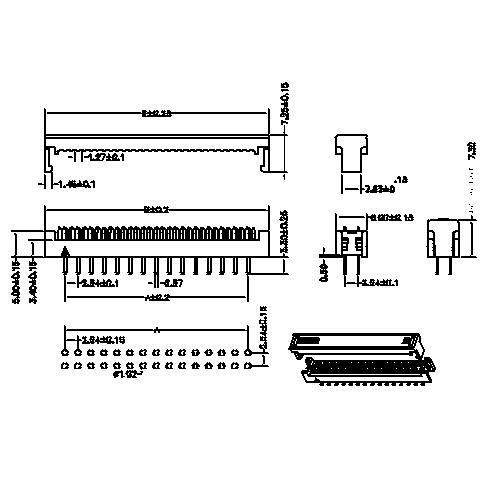 Connector is an indispensable part of electronic equipment, it is blocked in the circuit or isolated circuit, set up a bridge of communication, so as to make the current flow, the circuit to achieve a predetermined function. 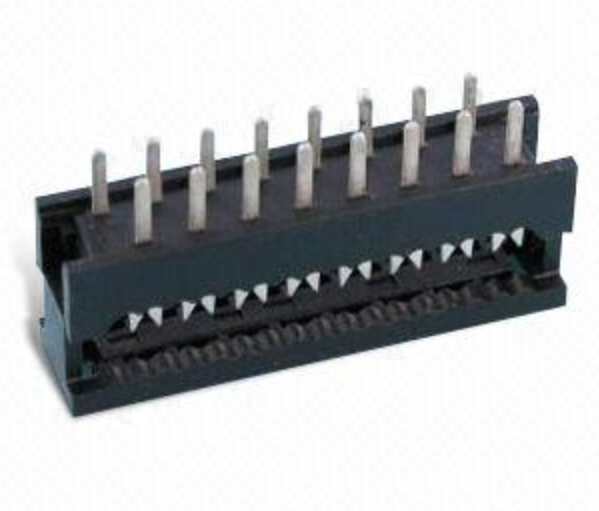 Connector row pin form and structure is protean, with the application object, frequency, power, application environment, there are a variety of different forms of connector. Although there are many types of connectors, the basic performance can be divided into three categories: mechanical performance, electrical performance and environmental performance. In terms of the function of connectors, the plugging force is an important mechanical property. Insertion force is divided into insertion force and pulling force (also known as pulling force), the requirements of the two are different. The maximum insertion force and minimum separation force are specified in the relevant standard, which indicates that, from the point of view of use, the insertion force is small (hence the structure of low insertion force LIF and no insertion force ZIF), while the separation force is too small, which will affect the reliability of the contact. Another important mechanical property is the mechanical life of the connector. Mechanical life is actually an indicator of durability. They want to offer them for mechanical operation. It is based on a cycle of one insertion and one pullout, and is judged by whether the connector rows can normally complete their connection functions (such as contact resistance value) after the specified insertion and pullout cycle. The splicing force and mechanical life of the connector are related to the quality of the coating (sliding friction coefficient) and the dimensional accuracy (alignment) of the contacts. Vibration and impact performance: vibration and impact resistance is an important performance of electronic connectors, especially important in special application environment, such as aviation and aerospace, railway and road transportation, it is an important index to test the robustness of mechanical structure and electrical contact reliability of electrical connectors. There are clear regulations in the relevant test methods. The peak acceleration, duration and shock pulse waveform, as well as the interruption time of electrical continuity shall be specified in the impact test. Contact resistance: high quality electrical connectors should have low and stable contact resistance. The contact resistance of the connectors varies from a few milliohms to tens of milliohms. Factors affecting contact resistance include: resistivity of contact surface material, contact pressure, contact area, contact shape, surface conditions (relative cleanliness, roughness and hardness), current size, open circuit voltage at the contact point when the current is cut off, temperature and thermal conductivity of wire, etc. Insulation resistance is an index to measure the insulation performance between the contact parts of electrical connectors and between the contact parts and the shell. It is determined by the dielectric capacity of the dielectric, and the higher the insulation resistance, the better. Insulation resistance cannot be equated with withstand voltage, because insulation material is mixed by different material or composition, their insulation resistance is different naturally. Therefore, the measurement of insulation resistance cannot completely replace the measurement of cleanliness or nondestructive degree. Looking for ideal Mating Height 7.3MM Plug Connector Manufacturer & supplier ? We have a wide selection at great prices to help you get creative. All the 2.54MM Pitch Plug Connector are quality guaranteed. We are China Origin Factory of 2.54MM DIP Connectors. If you have any question, please feel free to contact us.